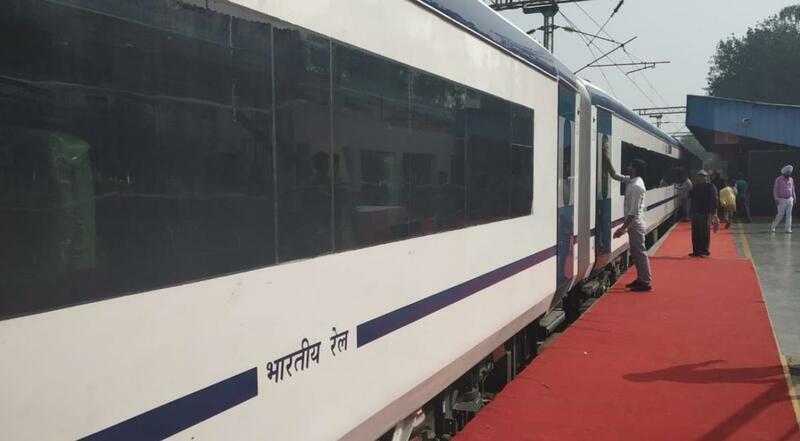 Indian Railways' state-of-the-art Train 18 got safety clearance on Friday from the Electrical Inspector to the Government (EIG), sources said. Commissioner Railway, Safety, Saklesh Pathak to issue the safety clearance. Now, the train, after waiting in the wings for nearly a month, is ready for it's first commercial run at a speed of 160 kmph. Sources said the go-ahead comes after a decision was jointly taken by the mechanical and electrical departments, stating the issues flagged in inspections would be complied with in the trains manufactured from here on. After the provisional clearance by EIG, the Integral Coach Factory in Chennai was contemplating taking the train back to the factory for further work. The train had earlier got the EIG clearance only for three months with nine conditions.